The three-day Fashionology Festival 2017, which is scheduled to open on October 20 on Nguyen Hue Pedestrian Street, District 1, Ho Chi Minh City, will see a large number of designs by more than 150 domestic and international designers. The information was announced at a press conference held on October 10 by the Ho Chi Minh City Department of Tourism and the Golden Communications Group. Apart from typical and diverse performances of more than 250 domestic and international models to introduce over 1,400 fashion designs, audiences will have a chance to experience modern technologies such as a boombox stage, 3D mapping, and AR magic mirror. This regional-level festival will open up more opportunities for businesses, fashion designers to seek business cooperation and be a good place for outstanding students in design to show off their talent. 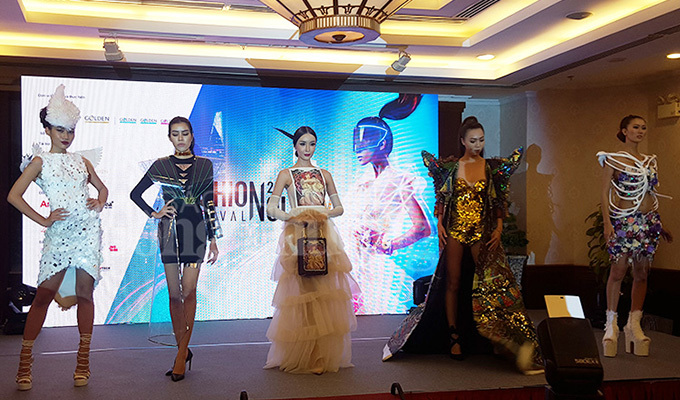 According to Director of the Ho Chi Minh City Department of Tourism Bui Ta Hoang Vu, this cultural-tourism event will be organized annually on the occasion of the Vietnamese Women’s Day (October 20) to be a tourism highlight of the city, contributing to the development of the Viet Nam’s garment and fashion industry. In the first nine months of this year, the city welcomed more than 4.2 million foreign visitors. The city is expected to attract more domestic and international visitors in the remainder of the year through a variety of year-end cultural and tourism events.